Fitbit's smartwatch debut is set to be feature packed, but one thing it won't be packing is cellular connectivity according to the company's chief executive James Park. Speaking to the Financial Times, Park revealed that it wouldn't follow in the footsteps of Android Wear watches like the Huawei Watch 2 or Samsung's Tizen-running Gear S3 Frontier, and is set to shun the feature that would make its watch less reliant on being connected to a smartphone. That means doings things like downloading apps will need to be done while paired to your phone or over Wi-Fi. Fitbit decided to make this call because it is a feature that is "struggling for a use case" according to Park. He also believes including it would require too many trade-offs including having an impact on battery life. Park also commented on the recent reports of delays with the company's first smartwatch insisting that the watch remained "on track" and saying, "It's going to be, in my opinion, our best product yet." He also confirmed that the Fitbit watch will have a waterproof design, include more precise GPS tracking and new biometric sensors. We can also expect a battery life that lasts for several days, sleep tracking and the company is going to make it easier for third-party developers to write apps for the device. Music player support is something that Park also references saying that Fitbit is "focused on figuring out how to best integrate music into the fitness experience for people." 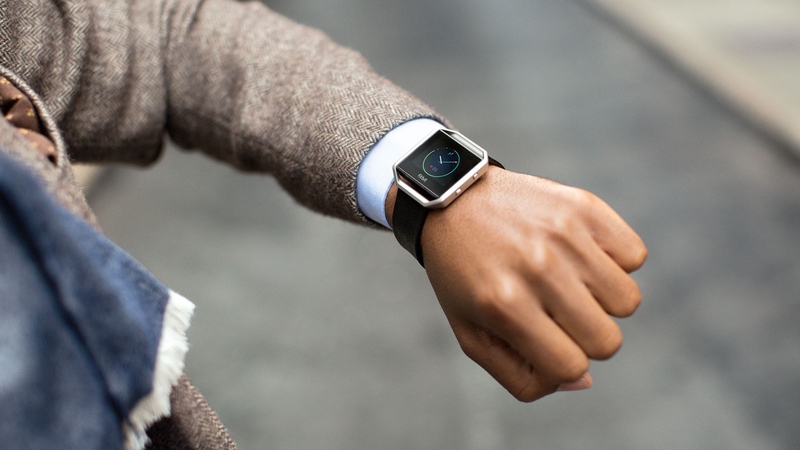 One thing Park didn't confirm is when the Fitbit smartwatch is going to launch. Recent speculation still points to a fall launch with a price tag rumoured to be around the $300 mark. Other rumoured features include a 1,000 nit colour display and NFC payments while leaked pics suggest it will take design cues from the Fitbit Blaze.